Bob Dylan isn’t just a seasoned artist; he’s a pop culture phenomenon. Arguably one of the most influential musicians of all time, Dylan has been stirring the pot for decades with his political and poetic prose. He’s hailed as one of the driving forces behind the evolution of popular songwriting, and his anthems ring with a triumphant air of truth even to this day. The 71-year-old crooner just released his newest album, Tempest, cementing a steadfast 35-album career that shows no signs of slowing down. Like a time machine, Tempest transports you into the middle of a dusty Western saloon of a bygone era. Here, patrons swing-dance amongst a spattering of country-tinged blues and clinking beer mugs. Dylan sits on a stool in the corner, guitar on one knee, and his rough croon begins to fill the room. He gives you a sly wink, a dark smile tugging at the corners of the mouth, and you decide to sit a spell and have a drink. “Duquesne Whistle” flaunts a soft, warbling organ and crunchy electric guitars, bouncing jovially underneath Dylan’s throaty rasp. A heavy bass plunks steadily along, and Dylan builds the track around images of sleek steel trains and even sleeker women. “Duquesne Whistle” has it’s own music video, a seemingly innocent clip with a rather shocking twist. “Soon After Midnight” is a smoky, soulful affair, depicting a hazy night filled with romance, intrigue, lust, and murder. The track flows like maple syrup, slow and sweet, masking poisonous lyrics. “Narrow Way” kicks up the tempo and brings in a bit of rock-influenced bluegrass, throwing the distorted guitars to the forefront of the track. A sly mandolin titters steadily along in the background as Bob Dylan spins wily one-liners with his signature snark. Even in his 70’s, Dylan still knows how to woo the ladies, filling the entirety of Tempest (particularly “Narrow Way”) with suggestive scenarios and risqué pick up lines. Dragging along like a weary, forlorn tale, “Long And Wasted Years” plays out like rocking ocean waves, with the instrumentation slowly rising and falling as Dylan delivers with a sort of singsong spoken word. “Long And Wasted Years” flowers with blossoming metaphors, a prime of example of Bob Dylan’s definitive elegiac lyricism. Tempest bows towards its middle with the track “Pay In Blood,” a staggering weak point in the album. 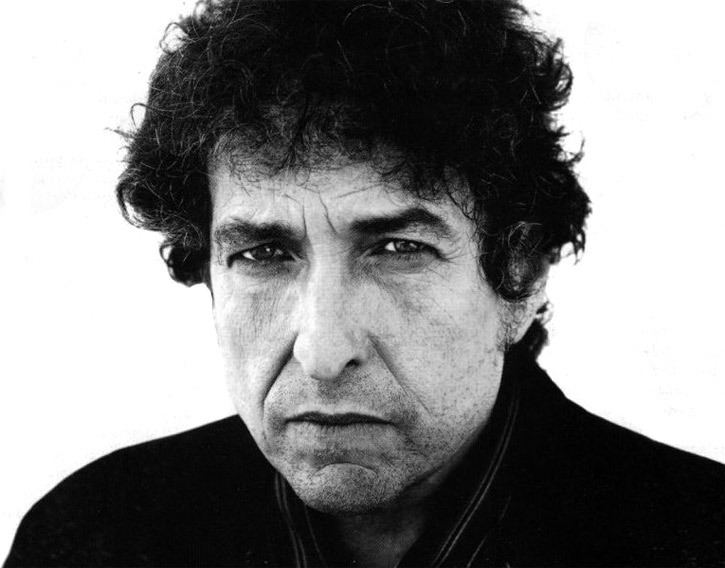 The composition of the track is repetitive and underwhelming, and Bob Dylan’s normally endearing croak sounds more like a phlegm-engulfed smoker’s cough. “Scarlet Town” paints a dark and foreboding urban wasteland, shadowy banjos and mournful violins slithering like snakes across the desolate landscape of Dylan’s ominous vocals. “Early Roman Kings” is a nod to George Thorogood’s “Bad To The Bone,” bluesy organs swinging heavily like a curvaceous woman’s hips. A harmonica spices up the ubiquitous sound and Dylan’s lush portrayal of these suave young men (the “Early Roman Kings”) gives the track a cinematic feel. “Tin Angel” and “Tempest” are extensive, thriving epics, lasting a little over nine minutes and a little under 14 minutes respectfully. Here Dylan lounges comfortably, completely at home, spinning threads of beautiful storytelling that construct a complex web playing honest and true. He sounds so convincing at times that it’s hard to tell if Dylan has imagined these well-crafted tales or borrowed them from decrepit history books. 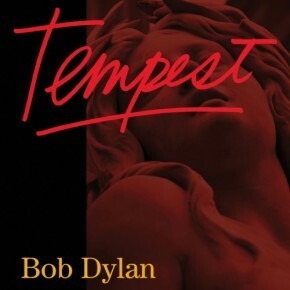 “Tempest” actually chronicles the tragedy of the sinking of the Titanic, and Dylan even goes as far as to reference Leonardo DiCaprio in the track. “Roll On John” is a touching ode to the late John Lennon, closing out the album with its emotionally laden seven and a half minute run. “Roll On John” ends Tempest on an affectionate and mournful note, eclipsing the rampant violence and sexual depravity that characterizes the previous nine tracks. 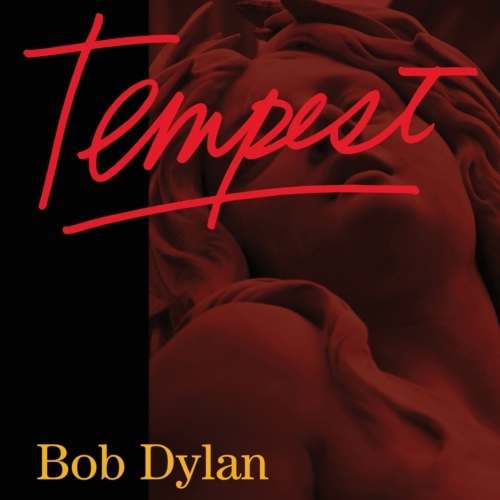 Tempest is best described as a deep cut of tracks, showcasing more of Dylan’s raw musicality than his commercial appeal. It’s a release that anyone can enjoy, but will most likely find its home among the most dedicated, diehard Dylan fans. Regardless, pick it up on iTunes or Amazon and give it a listen. Though it might not fit within the confines of your typical musical taste, Tempest is an album that should be heard. If nothing else, it’ll certainly expand your perceptions of modern music.